The focal length / zoom range on the F750EXR is an impressive 25-500mm in 35mm equivalent terms. Maximum aperture ranges from f/3.5-5.3. 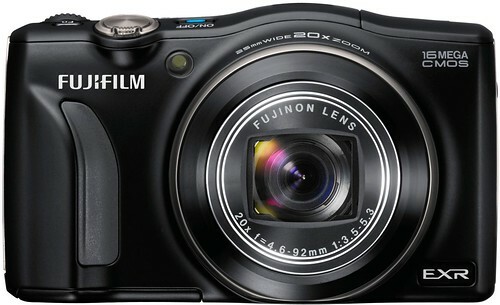 The F750EXR is identical to the Fujifilm F770EXR except that the F770EXR has GPS functionality while the F750EXR does not. Download the Fujifilm F750EXR Manual. Visit the official Fujifilm F750 EXR page at Fujifilm USA and Fujifilm Global. The F750EXR was announced on Jan 5, 2012 — read the press release at DPReview.com.